The Sullivan County Chapter of the New Hampshire Timberland Owners Association (NHTOA) will meet for a potluck supper, annual meeting, and program, Saturday, April 6 in the Ahern Building at the Sullivan County Complex, 103 County Farm Road, Unity. The potluck supper will start at 5 PM followed by the chapter’s annual business meeting, including election of officers for 2019. Jasen Stock, executive director of the NHTOA, will offer a brief update of the NHTOA’s advocacy work before the New Hampshire Legislature on behalf of the forest products industry. Anderson built a post-and-beam sugarhouse from timber cut and milled at his farm in South Sutton. 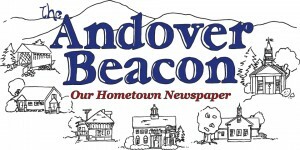 Anderson is writer and co-host for the “Something Wild” feature on New Hampshire Public Radio and writes Nature’s View, a column published in the Forest Society’s quarterly magazine Forest Notes. The Sullivan County Chapter of the NHTOA organizes and runs the Woodsmen’s Field Day Competition set for Saturday, August 17 during the Cornish Fair. The NHTOA, a statewide trade association, has members throughout New Hampshire. Founded in 1911, the NHTOA represents all aspects of the forest products industry including landowners, foresters, loggers, truckers, mill owners and others. The forest products industry contributes more than $3.8 billion annually, including forest-based manufacturing and forest-based recreation, or nearly 5 percent of New Hampshire’s Gross State Product. For more information please contact Dode Gladders at (603) 863-9200 or at dode.gladders@nullunh.edu.